Optimist Learn to Race is a intermediate course and is the next step up from Pram Camp. The classes run Monday- Friday 9am -12pm. Kids learn racing basics and fundamentals along with participating in club races if the coaches deem that they are ready. Proper handling, rigging, and derigging of boats. 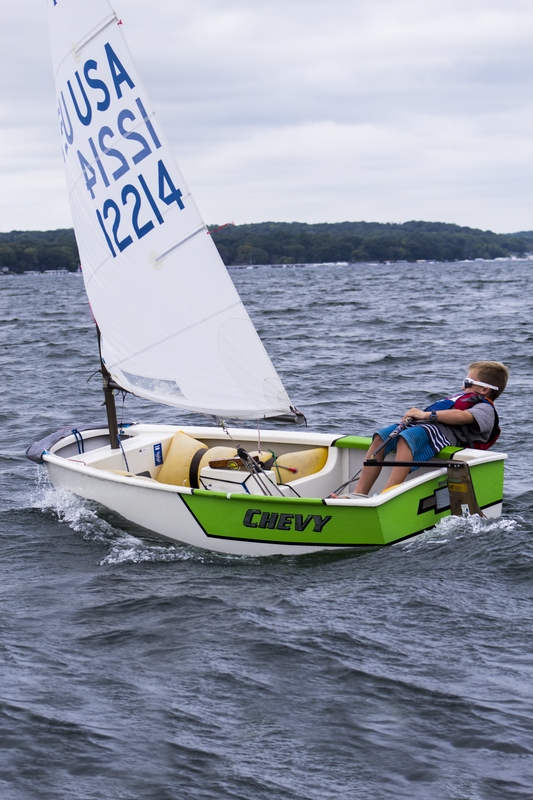 ​This is the perfect next step for young sailors looking to continue their fun at GLSS. Many intermediate skills are stressed with a focus on self-reliance. These camps take over where Pram Camp leaves off and gradually introduce the fundamentals of racing. Sailors rig by themselves, launch themselves and sail alone. 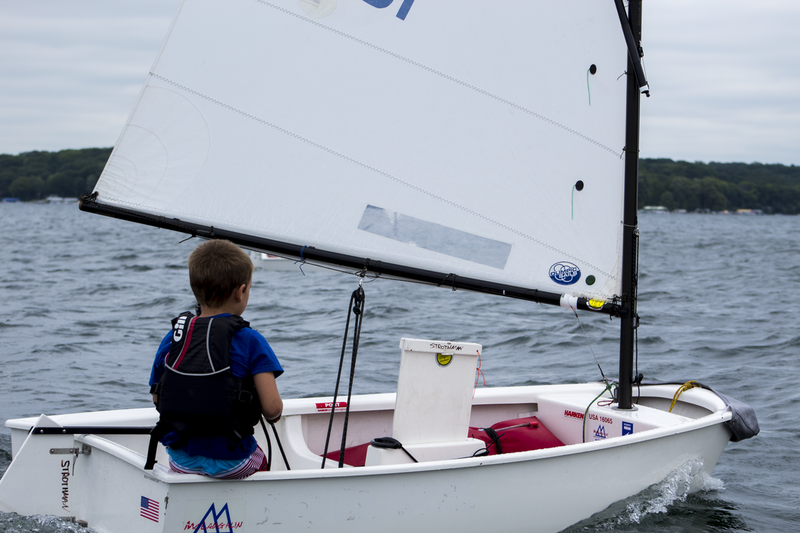 Lessons provide a repetition of necessary upwind sailing skills and teach performance boat handling in all points of sail. They are to be considered a “prep school” for the Advanced Racing Team. Camps are four-week, half-day sessions. 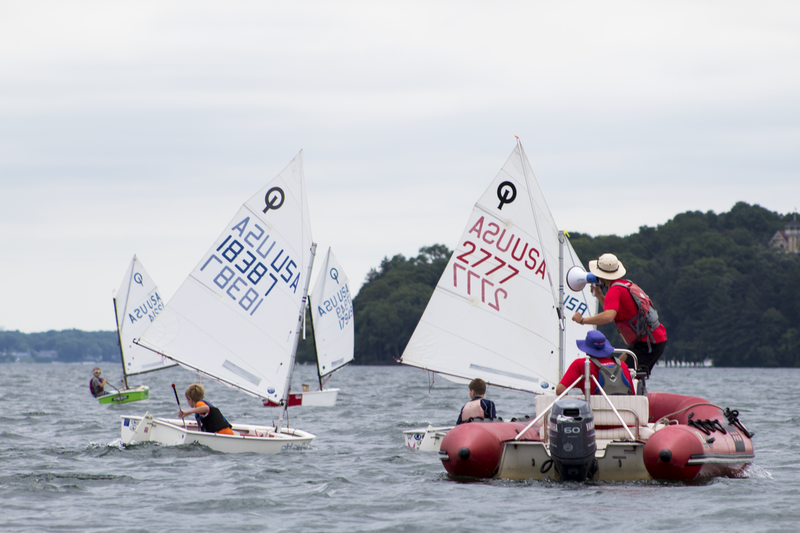 Coaching is provided at the Lake Beulah Regatta, GLSS Regatta, and the ILYA Championship regatta. Sailors must provide their own boat. Some GLSS charter boats are available. Please call 262-275-8489 for availability.